This Backbone js book renders an overview of some of the useful concepts and techniques of Backbone.js. The book contains some examples of typical patterns, concepts, usages of each of the main pieces of Backbone that include Collections, Models, Views Events/Storage and Routers. The writing style of the book is such that it will give you a feel that you are sitting in a classroom and studying Backbone.js. The book also contains chapters on usage of AMD with the required .js files. If you want to learn building front-end applications using Backbone.js, this book is perfect. The book contains easy-to-follow examples that will take the reader through building seven different web applications using Backbone.js. However, it is mandatory for you to thoroughly familiarize yourself with working knowledge of CSS and HTML. You can start by creating a small blog with Backbone Express and gradually start learning the basics for reading as well as writing data with a REST API. The book brings challenges to the current techniques along with sensible practices in Backbone.js test development. The book is a great repository of fundamental testing concepts along with practical exercises and comprehensive test infrastructure designs. In the middle chapters you can find APIs and usage of three important testing tools, this include Chai – an assertion library, Mocha – a test runner and Sinon.JS – a library for test doubles. The best part of the book is that it does not get deviated and it sticks to its true meaning of its name. 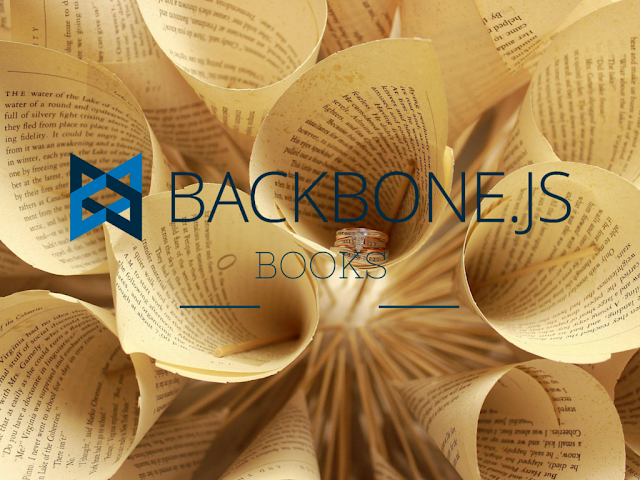 You now have information about a few excellent books on Backbone.js that can help you get a comprehensive understanding of Backbone.js. These books will help you understand the most basic Backbone js logic in the beginning and gradually move on to advanced levels of learning. You can make use of this article to choose the best book for you and start developing your applications. With these books, you will surely enhance your knowledge and apply the learnt concepts in your Backbone.js application development.